and test-taking behavior, revealing the impact on their exam scores. Pegasus Lectures’ ExamSim programs utilize a Patented Intelligent Analysis Algorithm to determine your level of exam preparedness for your credentialing or board exam. Exclusive! Advanced Item Type (AIT) Questions have been added to select Pegasus ExamSim programs (based on individual exam content outlines). 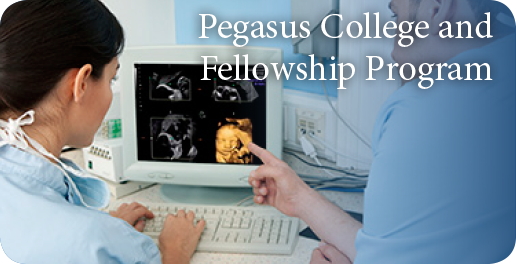 Demystify the new Advanced Item Type questions by utilizing the Pegasus ExamSim Programs. Watch for Frank Miele’s Online Office Hours focusing on best practices for Semi-interactive Console (SIC) Questions. In her PhD Dissertation, Michelle Wilson, EdD, RDMS, RDCS, utilized the patented Pegasus Lectures’ ExamSim Program to determine the impact on exam candidates scores after using this patented technology. Treatment group scored significantly higher (M = 627.55) on the ARDMS exam than the control group (M = 605.46). Time spent on software and software scores accounted for 37.6% of the variance in ARDMS scores. Mastery of content is vital in successfully challenging any credentialing or certification exam, but of equal importance is your ability to function well in a test-taking environment. The Pegasus Lectures’ ExamSim Programs assesses not only your specific areas of subject weakness but also provides methods by which to reduce test anxiety. In order to meet the unique needs of college programs, Pegasus Lectures has created a College Version of the ExamSim programs. The College Version allows instructors full, free access to the Instructor Tool. 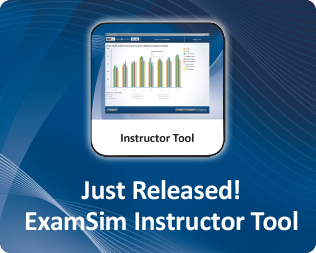 Pegasus Lectures’ Instructor Tool allows analysis of the ExamSim results of each student at an extensive level. With this unique tool, instructors are able to analyze individual topic analysis and test-taking data, class statistics, college data, and blinded national comparisons.